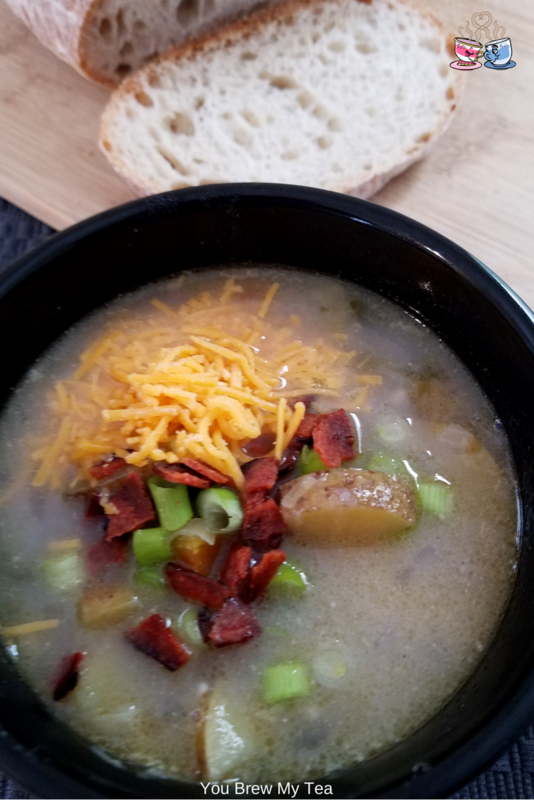 For years, I made a wonderful baked potato soup in the fall, but since going plant-based I wanted a good replacement. 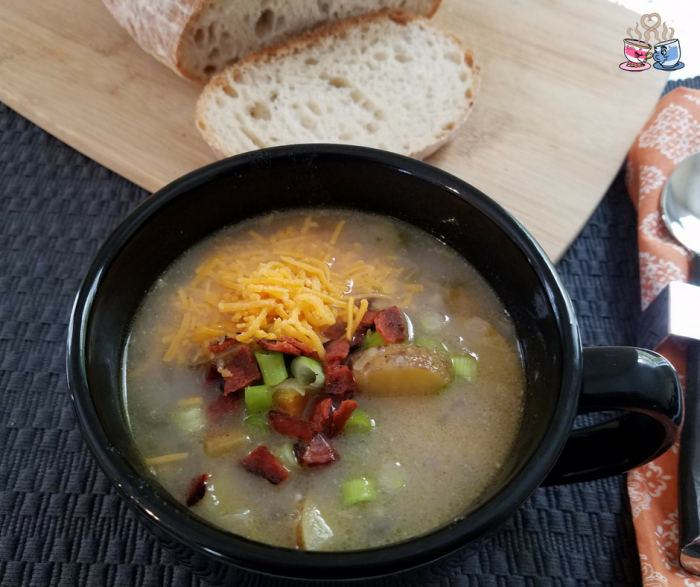 This simple Vegan Potato Soup recipe is a wonderful substitute. It is full of flavor, rich, and while not creamy, absolutely delicious. The soup was even a hit with the entire family, which makes staying plant-based easier than ever for me. This post contains affiliate links from Amazon. I may earn a small commission from purchases made via these links. Instead of a heavy cream base, this is a great vegetable base that includes just a bit of vegan butter. To thicken it, I used a trick a fellow vegan shared with me. Simple basic instant potato flakes will help thicken the sauce without adding ingredients you don’t want. This is such a brilliant idea! In a 6-quart stock pot, on high heat olive oil, onions, leeks, carrots, and garlic. Cook, stirring regularly, for around 5 minutes or until they begin to tenderize. Add in vegetable broth, water, milk, potatoes, and stir well. Bring to a boil. Reduce to medium heat, and mix in potato flakes, butter, and seasonings. Continue cooking for additional 20-25 minutes stirring occasionally. Taste and season with more salt and pepper if needed. Serve with shredded dairy-free cheese, vegan bacon, and diced green onions. Dairy-free and plant-based meals are not as difficult to make as you think. The key to replacing that creamy texture in this soup is to focus on flavors. Using something like potato flakes, or cornstarch to thicken a soup can give you the same texture you are looking for, without the concern of having dairy. 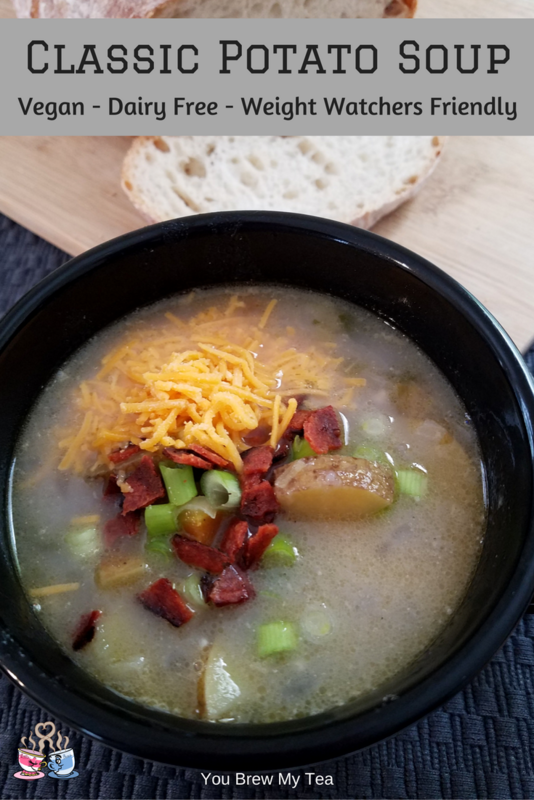 In this vegan potato soup recipe, I used So Delicious Cheddar Shreds and LightLife Bacon. If you are a meat eater, then you can use traditional cheese and bacon for extra flavor. You can also skip these additions completely and still have an amazingly delicious vegan potato soup recipe. 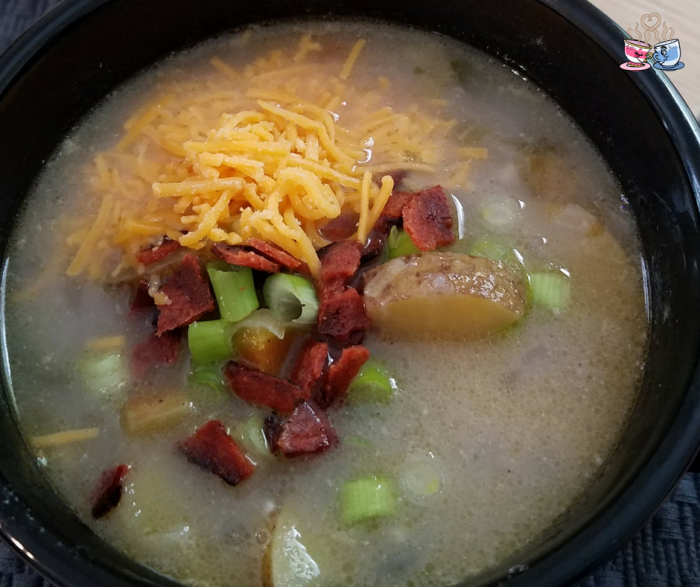 We love Potato Soup and this looks like a delicious soup. Thanks so much for sharing your post with us at Full Plate Thursday! Have a great week and come back to see us real soon!